Above and Beyond Standards dogs are from excellent bloodlines, have wonderful temperaments, and obtain extensive health clearances. Numerous hours are spent looking through Pedigrees and learning the quality and characteristics of our lines. At Above and Beyond Standards all of our dogs receive a complete panel of breed-recommended genetic tests and also have Heart, Hips, Eyes, Elbows, and Patellas evaluated by PennHIP or OFA if recommended for their specific breed. Our breeding goal is to produce beautiful, healthy companion puppies with exceptional temperaments. Our dogs are from excellent bloodlines, have wonderful temperaments, and obtain extensive health clearances. Numerous hours are spent looking through Pedigrees and learning the quality and characteristics of our lines. 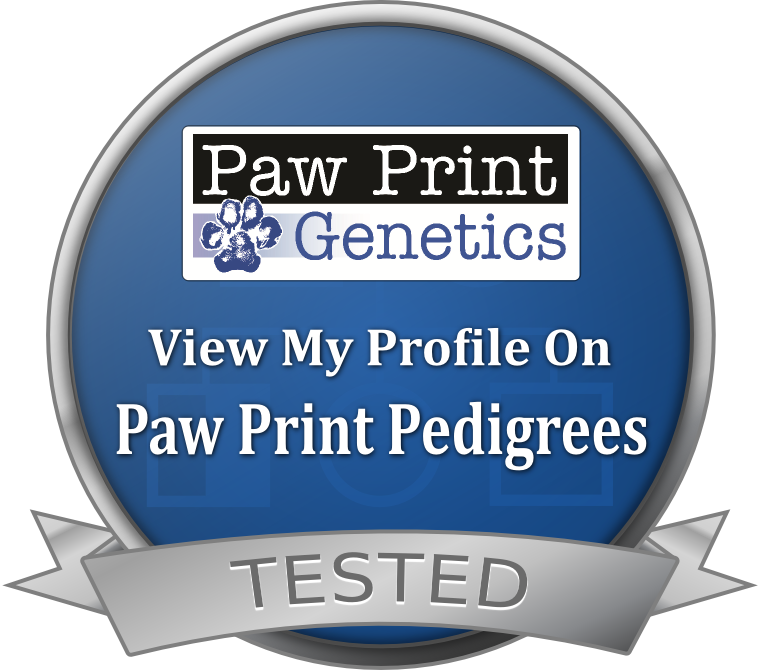 At Above and Beyond Standards all of our dogs receive a complete panel of breed-recommended genetic tests and also have Heart, Hips, Eyes, Elbows, and Patellas evaluated by PennHIP or OFA if recommended for their specific breed. Our breeding goal is to produce beautiful, healthy companion puppies with exceptional temperaments.